Although there are evidently phones galore at 3GSM but one category caught my attention. Namely, 'Messaging' devices such as the three models below. 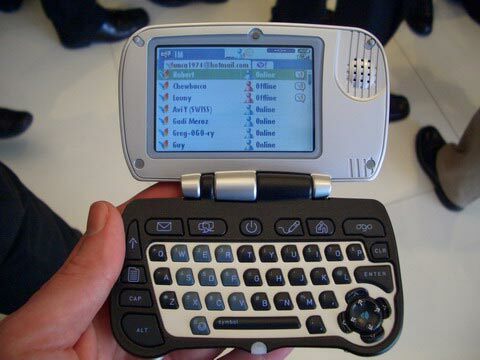 First, the IXI OGO which is apparently being marketing by AT&T Wireless (now acquired by Cingular) and is primarily a dedicated email, IM (mainly MSN, Y! 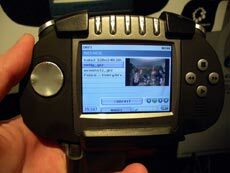 and AIM but also others) and SMS device but it also has a phone which you can use with a BT headset. It's a very low cost device offered for $70 with a data plan and obviously seeks to complement rather than replace a mobile phone. 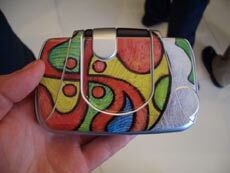 The 'funky' designs which can come with a number of skins are targeted at a 15 to 25 year old audience. Sanyo below, has incorporated a new division called Wipoq dedicated to developing and marketing such messaging devices but this time targeted squarely at a a business executive audience. For someone willing to put up with carrying more than one device then the Wipoq will certainly find an audience. 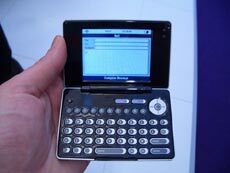 Currently the Wipoq runs IXI's (above) OS and therefore shares its capabilities (email, IM, SMS) but has no phone at all. Instead, the Wipoq 'connects' via Bluetooth to your mobile phone and in this way it is much more of a 'complementary' device than a replacement device. 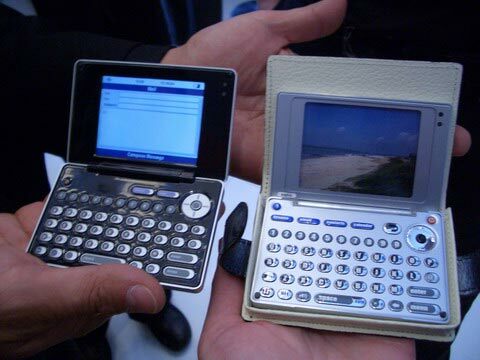 The demo unit (below left) was a fully working model but the final hardware design (dummy right) shows some noticeable improvements particularly with raised keyboard keys which undoubtedly the most important. 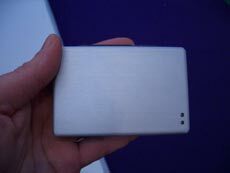 Particularly impressive is the small size of the unit (91 x 59 x 15.5 mm) which is not much larger than a business card holder (weight is 113 grams). 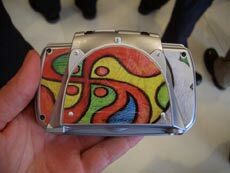 In fact as they were demonstrating the unit they actually inserted it into a business card wallet. 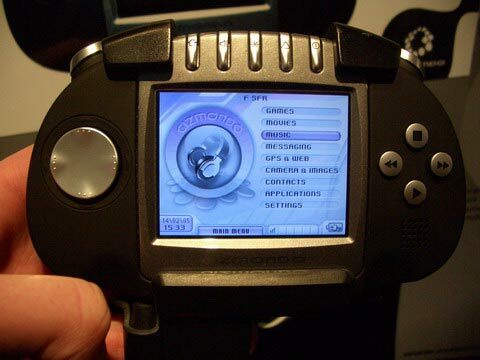 Finally, the Gizmondo device does not pretend to be primarily a messaging device although it does have this functionality built-in - albeit without the benefit of a keyboard. I had a quick demo of the messaging where you must navigate to type each letter and I can hardly believe that anybody will seriously use this functionality which begs me to ask why they included it in the first place. 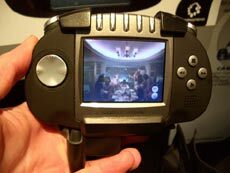 Positioned as a 'portable media player on steroids' (my words), Gizmondo does games, movies, music, messaging, GPS, Web+++. However, I am yet to be convinced that it does any one of them _extremely_ well. Two of Gizmondo's charming 'assets' were undoubtedly stealing considerable limelight at the show and as you might expect their booth was buzzing with 'interested' parties. cool nice to see like this one -OGO mobile thats good. i like that ogo. let you know to have a new ogo ct-25. I know about OGO CT-25 but I need to know when will it be release? It was supposed be release last Fall?